I can't believe June is already here, hence why this post is up later than usual. May was a busy month for me, as we've been on the hunt for a new flat. Now that all the boring paperwork has gone through and we have a date for moving into our new pad, stuffing everything into boxes has begun. As a result, the majority of my beauty stockpile has been packed up, leaving me with only a small selection of products to keep me going until I can reorganize everything, including this little lot. I've got a confession to make. Until the beginning of May, my nail polish drawer was void of a pastel, mint shade. 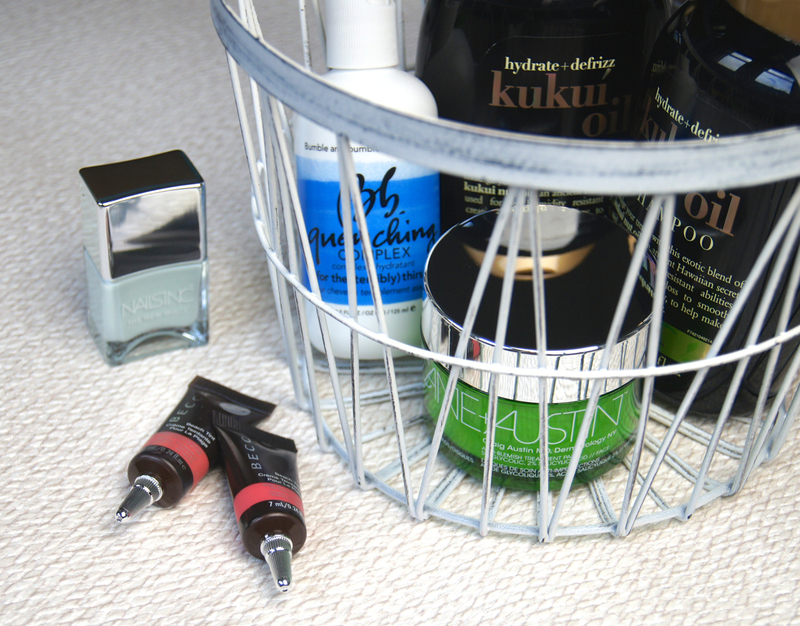 In the world of beauty blogging, that's pretty much unheard of. 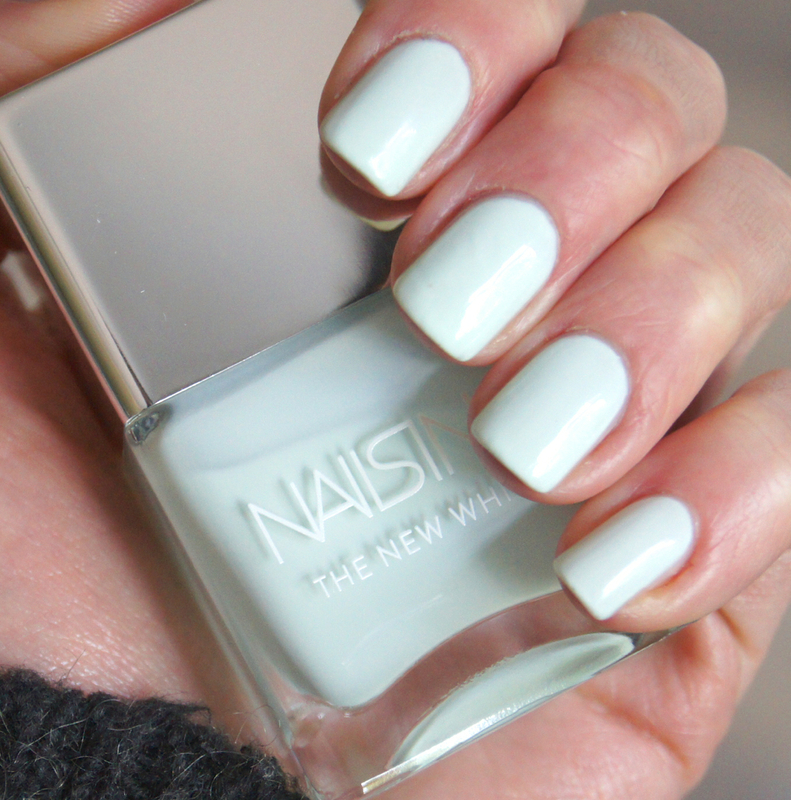 As soon as I spotted the limited-edition The New White Collection from Nails Inc and caught sight of the utterly gorgeous Swan Street, I knew I had to have it. The range of four polishes all have a white base infused with a tiny hint of soft colour, creating the perfect pastels. Swan Street hits the perfect balance of white and green, without being too strong, which is what has put me off Essie Mint Candy Apple and other, cult-favourites before. Don't shoot me. 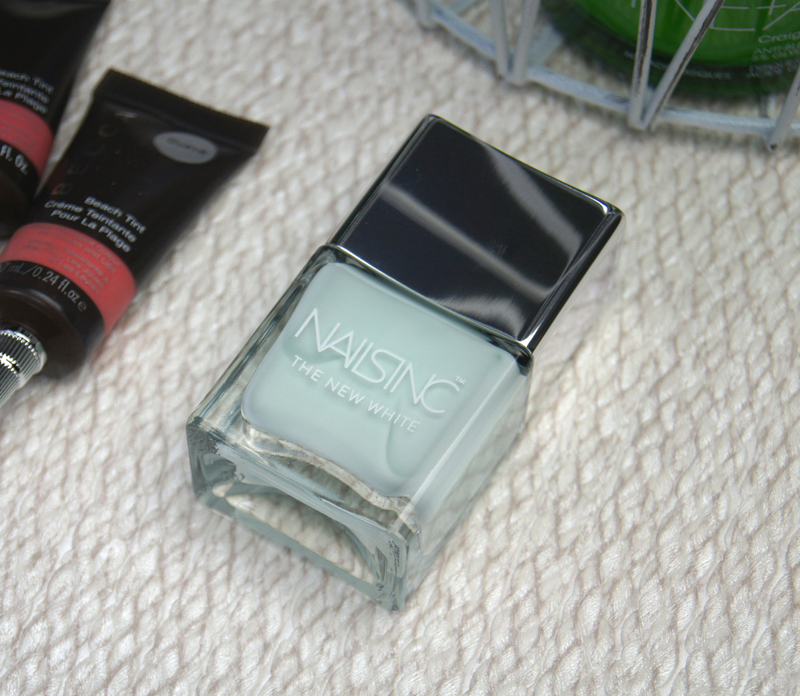 The formula is as good as usual with Nails Inc, being smooth and easy to apply thanks to the fat, rounded brush, but it does need three coats for a totally opaque finish. For £14, that may put some of you off, but the colour has totally won me over and once the polish has been swiped on, it stays looking perfect with minor chips for at least a week, in my experience. I'm definitely going to snap up a couple of the other shades in the line, before they're no longer available! Fortunately, my days of perpetually fighting blemishes seem to be over - *touches wood*. Now, I just have to battle small bursts of annoying bumps that form along my jawline but never come to a head, around that time of the month. To help treat them and get them to disappear as quickly as they spring up, I've recently been turning to an old, faithful product. The Cane + Austin Anti-Blemish Treatment Pads are soaked in a mixture of active ingredients, including both Salicylic and Glycolic Acids. The formula works to gently exfoliate the skin, remove dead skin cells and clean out pores, leaving the skin smoother, clearer and more radiant. I've done a full review on these pads, if you want to read some more of my detailed thoughts on them. At £48.00 for 60 pads, they aren't cheap, but when you find a blemish treatment that works for you, it's worth every penny. I'm a bit fickle when it comes to choosing my shampoo and conditioner, so after hearing so much praise of the OGX haircare range, I had to try it. Cropping up everywhere I seem to look, these haircare heroes are available in all the main, high-street hotspots, including supermarkets and Boots/Superdrug. 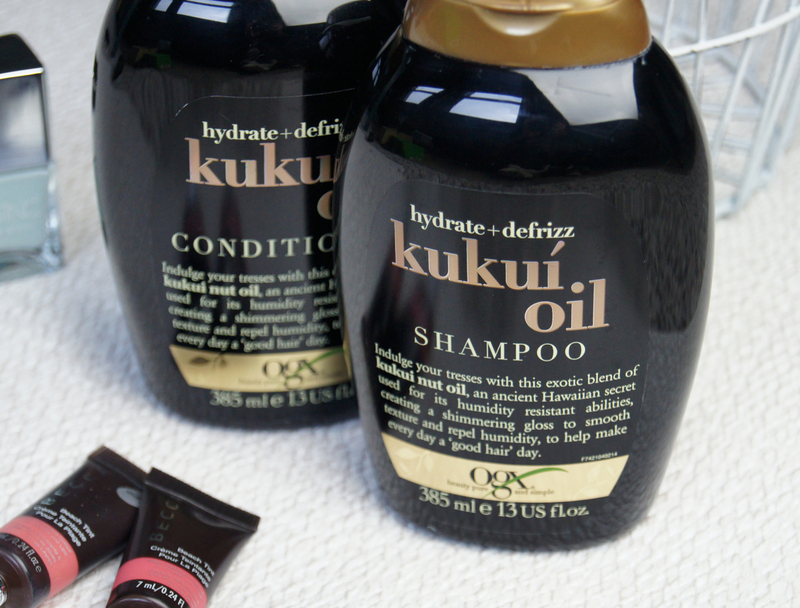 Although there's a plethora of formulas in the range, all suited to different hair-types, I went for the hydrating and de-frizzing, Kukui Oil duo. Beware, this shampoo and conditioner is serious stuff. I'm talking thick, rich and heavy; ideal for my super long, colour-treated, heat-damaged locks. It does exactly what it claims, transforming my barnet from a dry, frazzled ball of hay, into a sleek, soft, healthy-looking mane. As both the shampoo and conditioner are so concentrated, it does take me longer to rinse every scrap of residue out of my hair, but I use about half the amount of product than I would with other formulas. At full price, the bottles are £6.99 each, but they're almost always on offer, making them an absolute bargain. Another haircare product the helps to fight the frizz when the weather starts to get hotter and humid, is the Bumble + bumble Quenching Complex. Again, this is just a dream product for my hair-type. 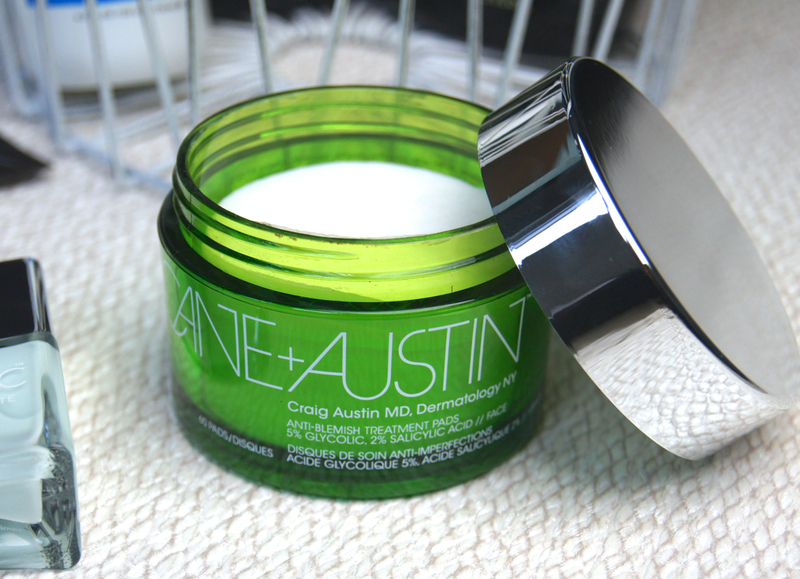 For a leave-in treatment, it's a thick gel-cream that really delivers a surge of moisture. Sealing the cuticle of each individual strand, it really helps to flatten and smooth any frizz, giving a glossy-looking finish. You have to use it sparingly though, otherwise it can leave hair feeling weighed down, greasy and overloaded. 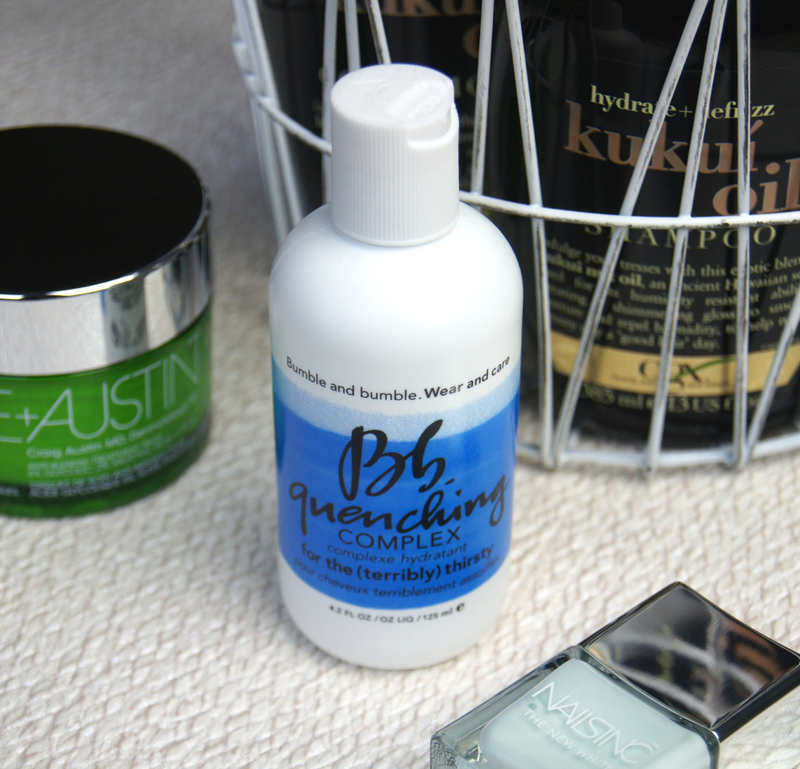 The Quenching Complex does contain silicones, so I only use it around twice a week, but it works wonders to keep my hair under control and tame any fluffiness. Unfortunately, this isn't the cheapest of leave-in treatments, at £25.50 for just 125ml, but you need so little that a bottle lasts for months and months. In my current, makeup bag, I've swapped out all of my powder blushes for cream formulas. Not only do they look fresher and more flattering in harsh sunlight, but they feel so much nicer on the skin, too. My favourites at the moment, have to be the Becca Beach Tints and, in particular, the shades Guava, a soft, peachy-pink, and Dragonfruit, a deeper fuchsia. The light, hydrating, creamy texture blends into the skin in seconds and leaves a streak-free stain of colour behind. Although they're highly pigmented, especially the brighter shades, the tint can be built from an almost watercolour stain into a more opaque colour, without the finish ever looking patchy. Unlike with other cream formulas, the silky texture doesn't disturb any base products underneath and the water-resistant formula is so long-wearing. 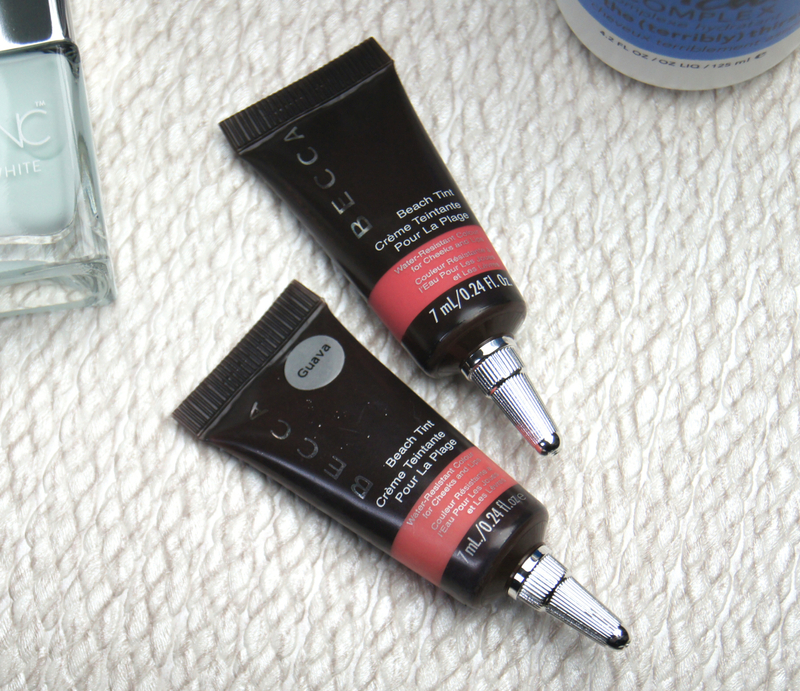 If you're in a hurry or can't be bothered fussing with too many products on a rushed morning, the Beach Tints are great, as they also double up as a lip product. Although the tube only contains 7ml of product and they are priced at £20 each, you need so little per application that finishing an entire tube is no mean feat! Yes to the OGX Kukui Oil range! I finished up the conditioner for that and it did wonders for my thick, frizzy hair. 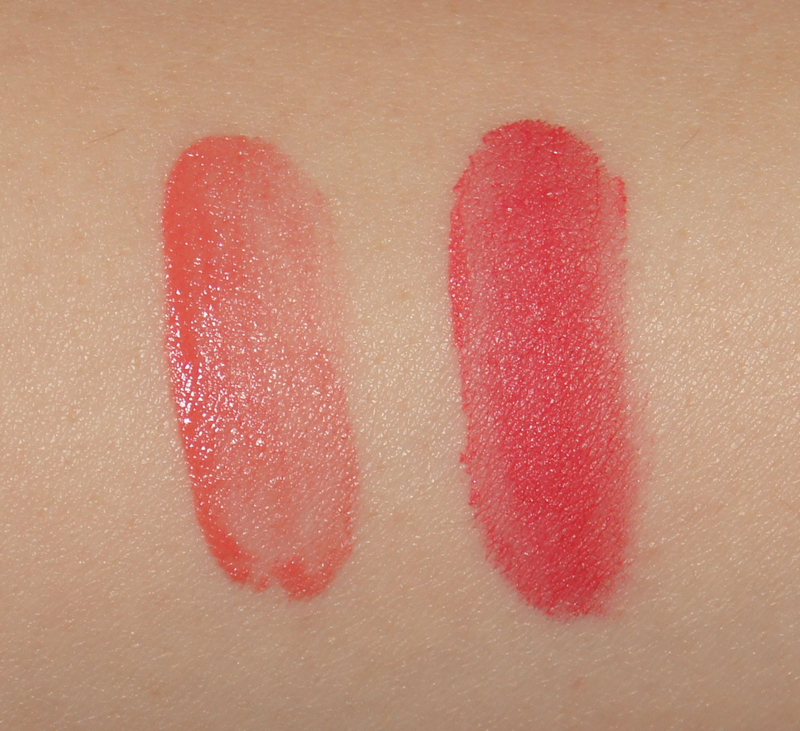 Also, the Becca Beach Tint in Dragonfruit is a beautiful colour!